PLEASE NOTE: This show has now sold out! Join our mailing list above, or follow us on Twitter and Facebook, for information about future Kiran Leonard shows. We’re excited to be working with Kiran Leonard once more! 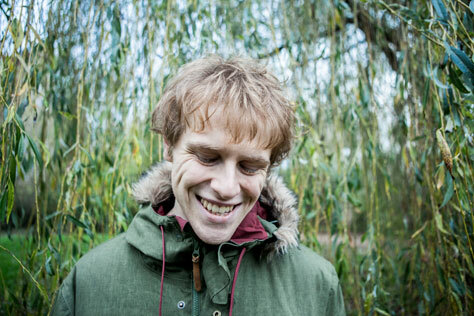 Kiran Leonard has signed to Moshi Moshi, and announced details of his new album, Grapefruit, released 25 March 2016. He has also shared its lead single Pink Fruit – the album’s 16-minute centre-piece – which will be released as a strictly-limited one-sided etched 12” vinyl single on 12 February 2016. Kiran Leonard is a mercurially talented 20-year-old musician from near Oldham, Greater Manchester. In the wake of numerous Bandcamp EPs and homemade CDR releases, Grapefruit is the follow-up proper to his 2013 acclaimed debut album Bowler Hat Soup. Main support comes from Tom Settle – who the Skinny described as possessing ‘a soaring voice reminiscent of Elliott Smith’ – and Friends. Opening the show are Yerba Mansa – a ‘free’ rock improv duo from Manchester, featuring members of Desmadrados Soldados De Ventura, Irma Vep and Birchall-Cheetham duo.